Second in the 'War Nurses' series, which began with 'The War Nurses', this account of a Chicago young woman who finds herself with a boring life in London and a dull marriage takes a few pages to grab our attention. But there's a clue in the mention of May's grandmother who was a nurse during the Civil War. In DAUGHTERS OF WAR, 1914 sees May Turner with growing daughters and an inattentive husband, when news comes that Germany has invaded Belgium. The newspapers are full of shock; the British troops took horses, knives and bayonets, but faced industrial war on a huge scale. May frets, wanting to help. At first all she can offer is knitting. Then she gets more determined and applies to the French Red Cross. They interview her for something called the Voluntary Aid Detachment. They're quite vague... deliberately it seems. This social butterfly is about to get her hands very dirty. The contrast with life near the troops could hardly be greater, with many ethnic groups, uniform dress and no luxuries. 1915 is a real awakening for this young and determined woman. As the war drags into years, servicemen, motors, musical shows and -- of course -- tragedies crowd her life. When she can, May goes home to see her daughters at boarding school. From time to time life brings her happiness, but even this is precarious in wartime. I found this an enjoyable and detailed look at social classes and service, with women's priorities and personal growth to the fore. We come to realise that May is representative of all women of her day, capable of doing so much more than society had believed. Lizzie Page was born in England and travelled for work, before settling down to write. 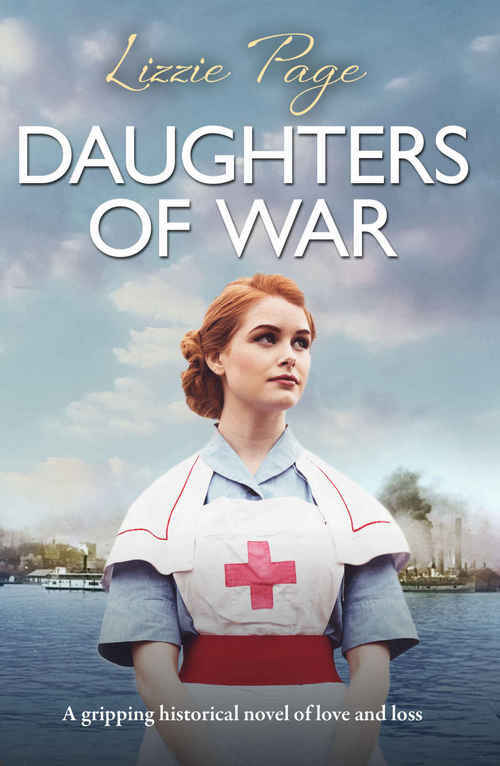 DAUGHTERS OF WAR will be enjoyed by readers who like social history and unusual, understated romances.